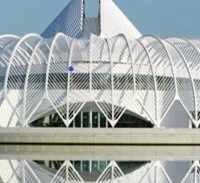 Florida Polytechnic University is the new 12th public university in State of Florida offers primarily STEM education, curriculum and research. The university has attained and recently received an accreditation from SACS. The Physics Department is part of the General Education curriculum that offers Physics 1 and 2 with labs to entire student populations who are enrolled their degree in either College of Engineering or College of Innovation and Technology. Physics Department at the campus has established a FL Poly Chapter of Society of Physics Students and also will be hosting FL-AAPT conference on November 04, 2017. Physics department has five permanent faculty and 3 Adjunct faculty and 2 lab technical staff. Once the university gets ABET accreditation, University may plans to institutionalize the undergraduate degree education in Applied Physics with the support from our Nanotechnology and Materials Science programs. The Physics faculty are interested to establish a PhysTEC site at our STEM campus so STEM education and learning methodologies can be improved and moreover, it can enable and produce number of Physics Teachers for Polk County or Central Florida's public schools.